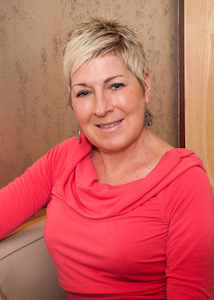 Welcoming Our New Esthetician: Debby Votta - Patrick Sullivan, M.D. As the new year approaches, we are happy to announce the addition of a Medical Esthetician to Dr. Sullivan’s team. Specializing in cutting edge treatments such as microdermabrasion, chemical peels, lymphatic massage, and ultra-sound as well as post-procedural skin care, Debby Votta is an excellent addition to Dr. Sullivan’s practice. Debby’s philosophy is that everyone should love the way their skin looks and feels! Our Medical Esthetician, Debby Votta, brings her warm patient centered approach and nearly 10 years of experience in esthetics to our practice. Graduating top of her class from the Arthur Angelo School of Esthetics in Providence, RI, Deb continued her education at both the Dermatological Institute in Boston, MA as well as with GM Collin Skincare out of Dedham, MA. She is a contributing member of the Associated Skin Care Professionals and owner of the Fresh Face Skincare Center at Avalon Salon in Cranston, RI. Debby also values contributing to her community and has volunteered at American Cancer Society’s “Look Good, Feel Good” program which helps cancer patients to feel more like themselves through make-up application, wigs and head coverings. Debby specializes in cutting edge anti-aging skin treatments and is consistently educating herself on the latest and best skincare products/treatments for her clients/patients. She is a results driven esthetician and is certified in many of the latest high-tech esthetic advances including, but not limited to: microdermabrasion, microcurrent, led light therapy, and chemical peels.